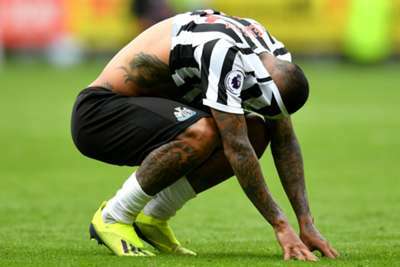 Newcastle's on-loan Chelsea winger Kenedy turned in a Premier League performance on Saturday that is set to be remembered for all the wrong reasons. The 22-year-old had a tame stoppage-time penalty saved by Cardiff City goalkeeper Neil Etheridge as the 10-man visitors were forced to settle for a 0-0 draw. Kenedy supplied two goals and as many assists as Newcastle pulled away from relegation trouble last season but his numbers at the Cardiff City Stadium painted a grimmer picture. Here, we look at how his performance unravelled. 33rd minute – After losing control of an attempted 360-degree spin, Kenedy petulantly kicked out at Cardiff midfielder Victor Camarasa. Retrospective action can be expected to follow. Maybe Kenedy will wish referee Craig Pawson, who later sent off Isaac Hayden, had spotted his indiscretion at the time. 0-45 minutes – Kenedy completed a grand total of zero passes during the first half – making him the first outfield player to do so in 45+ minutes of play since Nikola Kalinic in March 2010. 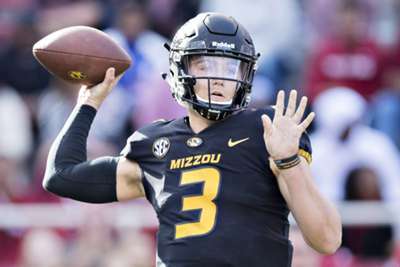 He concluded the match with eight successful passes out of 14 and lost the ball 18 times. 90th minute – Alongside two shots on target, Kenedy also had an effort blocked. The strike in question was wretched as he scuffed a free-kick low into the Cardiff wall from a prime position 22 yards out. 96th minute – There was a sense of the inevitable as Kenedy stepped up following Sean Morrison's handball from Yoshinori Muto's cross, his confidence commendable if entirely regrettable. Etheridge became the first goalkeeper to save a penalty in each of his first two Premier League games, diving to his left to save a shot that entirely lacked conviction.